So excited about the return of flare jeans and that 70’s vibe! Love the way this outfit turned out. Though looking at the pics, I do wish the jeans were an inch longer, right? Jewelry – Lucky Brand necklace, Zara necklace, bracelets from Tilly’s and J. Crew, earrings from Tilly’s. So Dolls, are you excited about the return of flares or are you recoiling in horror? Comment below and let me know! Visible Monday! Shoe & Tell! Let It Shine! How I Fall! Manic Monday! Celebrate Southern! Confident Twosday! Style Sessions! Tremendous Tuesday! 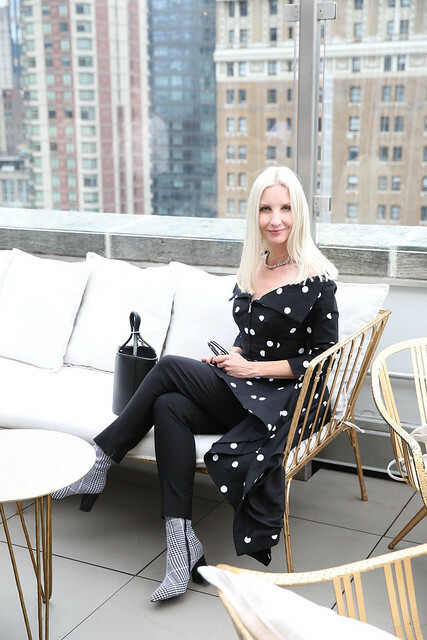 Bloggers Who Inspire Me! Random Wednesdays! Trendy Wednesday! What I Wore! Style Me Wednesday! I Feel Pretty! Throw Back Thursday! Labour of Fashion! Thursday Fashion Files! Spotlight Weekly! What I Wore to Work! Cute outfit! I love Gap long and lean jeans. They look great on you! This outfit is so fun! 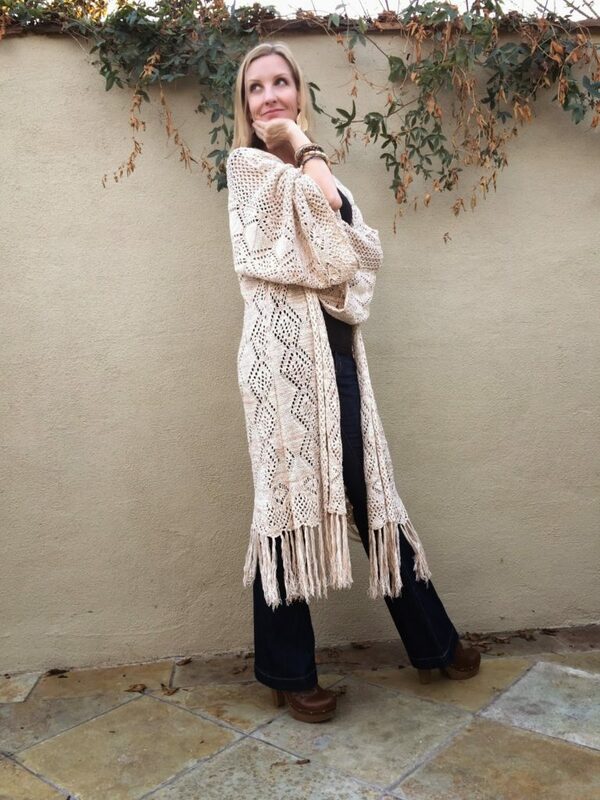 I love boho chic and that long fringe cardigan is perfect! Great minds and all that…well, kind of. I just wrote a post about jeans as well. And my fear of the return of flares. They look great on you! You carry off this look ever so well my dear! Such great shots! I really like this look, the crochet wrap is so special and brings me back to the 70s! Thanks for sharing with Visible Monday, xo. You look fabulous! For me the 70's is a reference point and always in. You rock those flares and everything else so perfectly. It's all about interpretation and you got it just right. I can't do the flares so it's the skirts and knee boots so far for me. 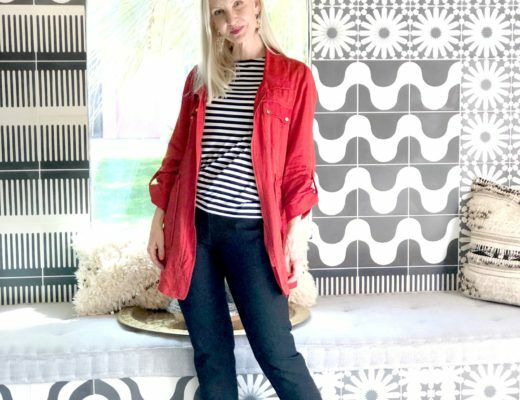 Definitely NOT afraid – I'll be honest, I've bucked the trend and worn flares all along – and skinnies and straight leg and even wide leg occasionally – it's all about the fit! I feel ya on the needing an extra inch of length though, but it's not as noticeable as you think. Great outfit, love that cardi! I cannot do the flares, but you have the legs for them. Love that cardi! You're right on trend with that long fringed top. It looks perfect with the jeans! That cardigan is beautifully detailed and feminine. I am thrilled with the return of flare legs too! 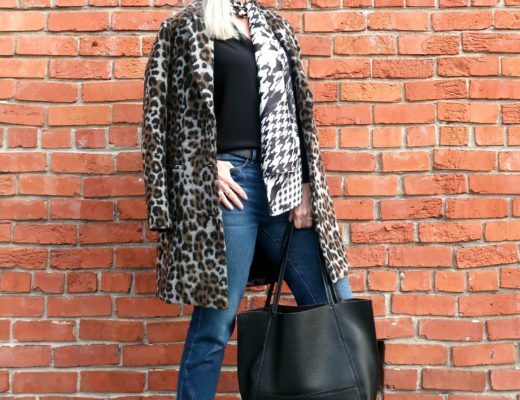 Love this outfit you put together – perfection! Wonderful 70s look 🙂 you look so pretty ! I love the way those jeans look with your heels. You make it look so fab! who wouldnt be excited for the return of flare, the 70s was a great time for both music and fashion. I really am getting into the whole boho thing ande am wanting a pair of flares just haven't had the chance to get them yet. Your boho cardi is amazing, so striking. You look great. I have mixed feelings about the flare. I love how they elongate your legs and I think they look fabulous on you! I'm going to have to keep searching for the perfect pair! These jeans look absolutely amazing on you! I like your boho outfit! The wrap top is beautiful and the flared jeans look fantastic with the heels. That fringe long cardigan is stunning. I love it with the trouser jeans! I love this look! I think with your long legs, and the cascading of this beautiful neutral cardigan, the look is great! I have a pair of very soft SFAM jeans that I want to wear that are flares, but since I cant wear high heels, I think flares look best with a heel or high heels, love the brown boots and the length is just right! Have a great day! Ok, so I think this is quite possibly one of my favorite outfits you've shown here on the blog. Everything is perfect! NO… I love flares! You look very COOL in your crocheted wrap, flares, hobo bag and great clogs (I think they are clogs?) Great Look!! I love your boho vibe here Dawn, those posts are so cute! 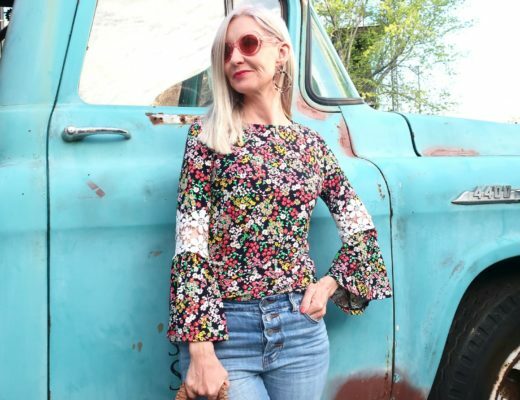 Thank you for linking up to "Bloggers Who Have Inspired Me"
I love your flare jeans with the crochet wrap. 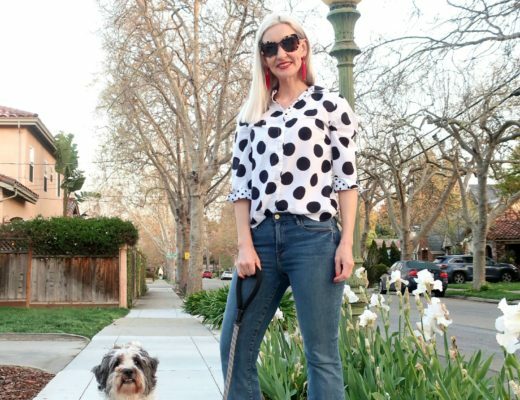 I have a few pairs of flare jeans that I kept and I'm looking forward to wearing them again! I do love my flared jeans, but I don't always love the high heels I have to wear with them, haha! Love your top, the tassel necklace and the bag! I just found your blog via Patti! I also just loved it. Great looks and fresh and light attitude. I'll be visiting. For the record I know what you mean about an inch longer. That's the way I destroyed my most expensive Levi's jeans! 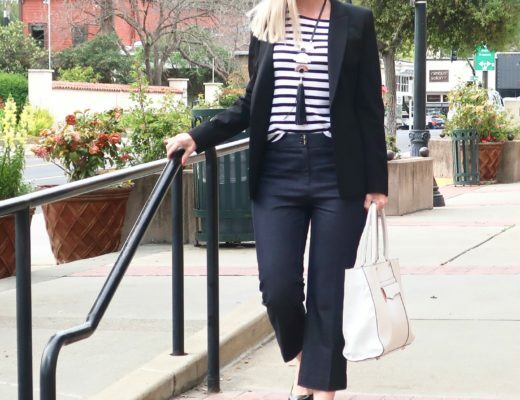 Thanks 4 linking up on Style Me Wednesday that I co-hosted. That crochet coat is really awesome. Such a unique piece! I love the fringe cardi, but I am not sure about the flared jeans look on me. You pulled this off wonderfully, tho! I love the boho vibe of this outfit. I love flare jeans since they really flatter most and makes my shorter legs look a whole lot longer. Thank you for joining TBT Fashion link up and hope to see you next week.